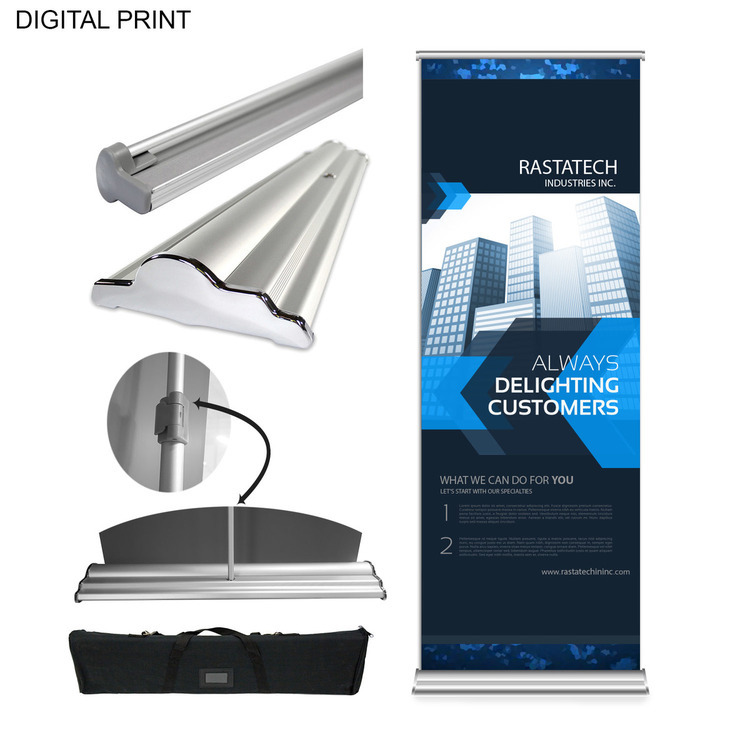 Premium retractable banners deliver a professional display. Setup and break down takes seconds and is convenient. 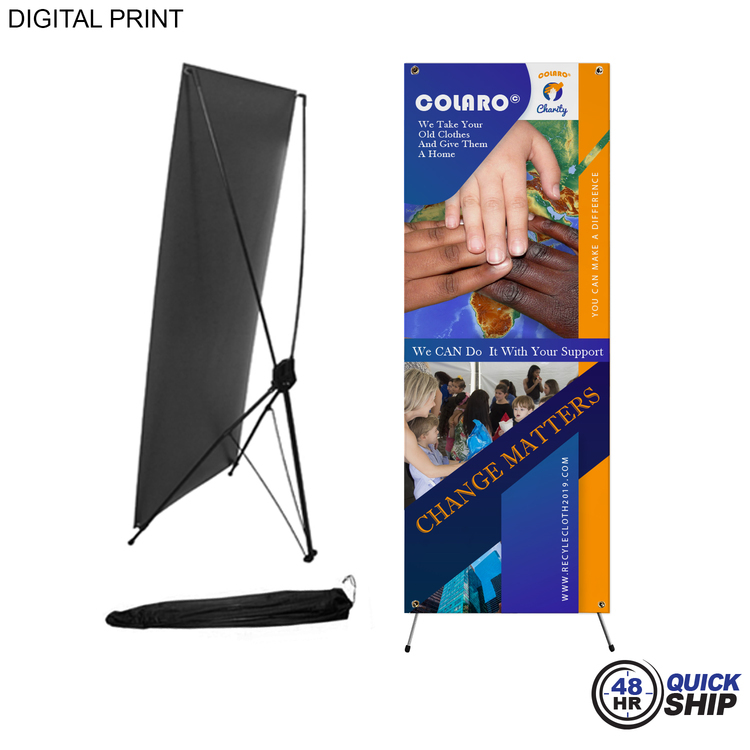 Water proof, sunshine proof, scratch resistant premium banner. Grey back PET film. 98% opacity, Anti-reflective, bright white film. 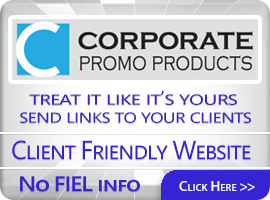 Price includes full color graphics. Usage: Tradeshows, Retail, Events, Offices. 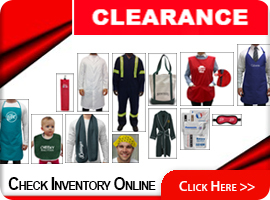 This product will ship in two business days if program requirements are met. 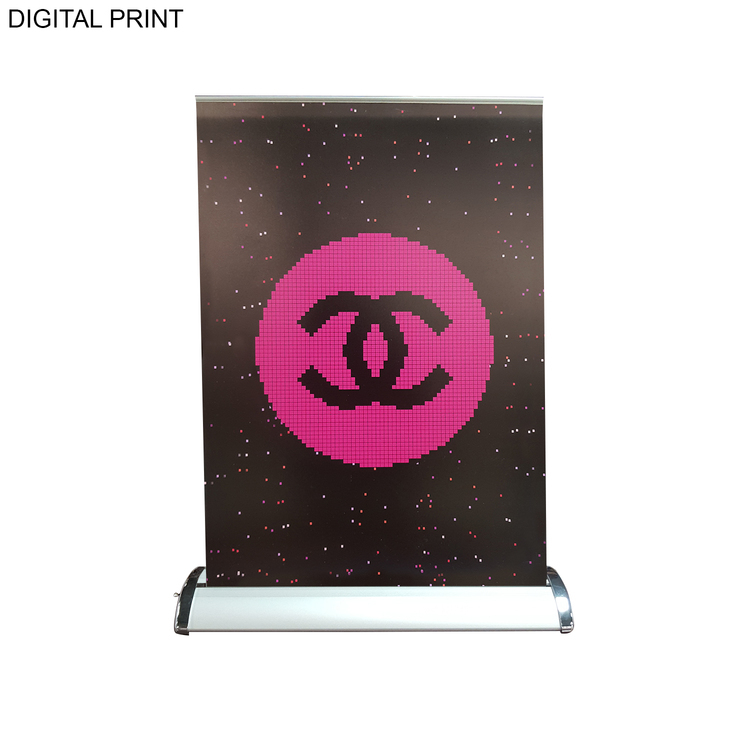 Tabletop banner gives your display professional look. Cost effective yet professional way of having portable signage. Help add the final touch to any design space. 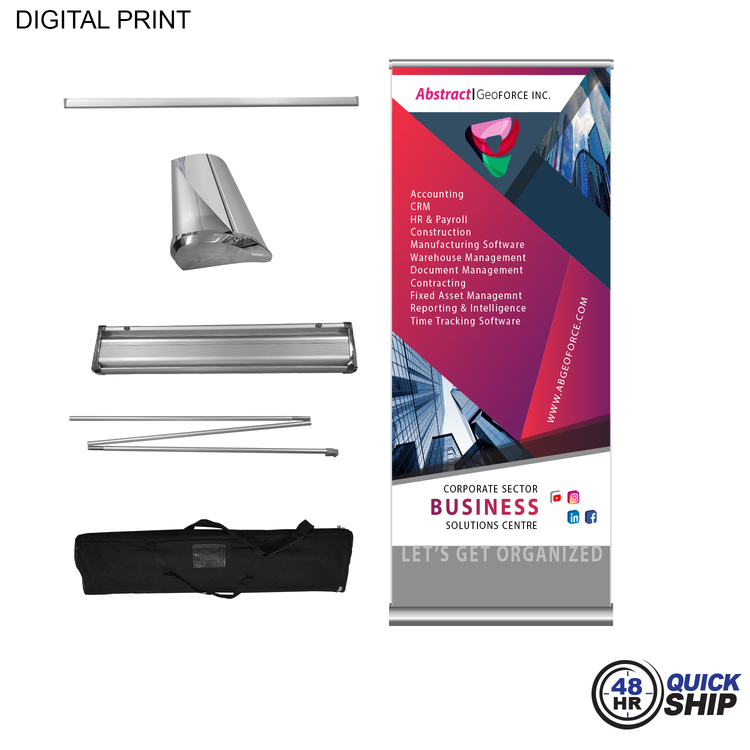 Desktop style banner stand. Setup in seconds. Grey backPET film. 98% opacity, Anti-reflective, bright white film. Blank product is $23.32 (c ). All quantities. SKU # BL606. 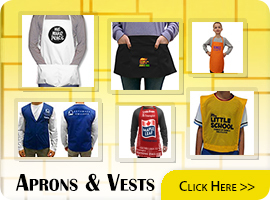 Usage: Tradeshows, Retail Purchase Countertops, Custom Calendars, Events, Offices. Blank product is $24.99 (c ). All quantities. SKU # BL607. Out with the old, in with the new with replacement graphics. 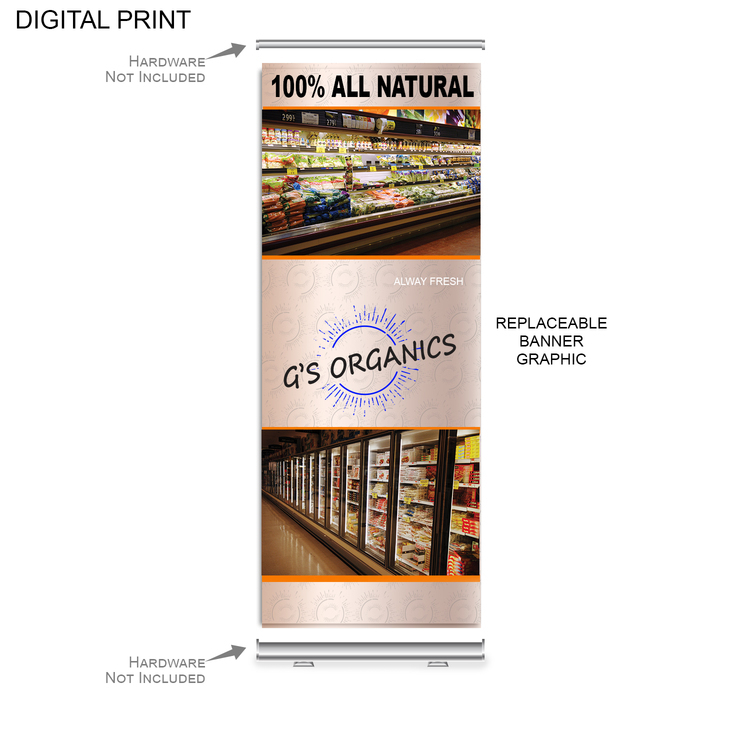 Replacement graphics will work for our DP583 retractable banners. 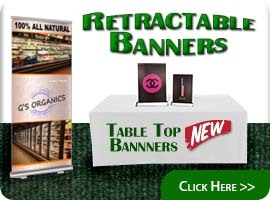 Superior retractable banners deliver a professional display. High end display for high end clients. Anodized aluminum and heavy duty plastic end plates. 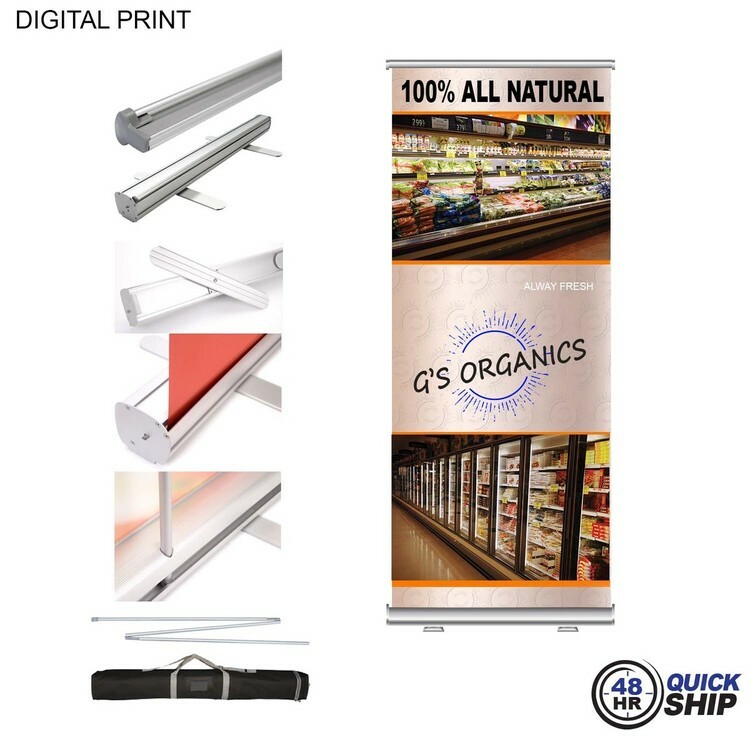 Holds 33.5"W x 69" all the way to 90" banners. Add your custom color graphics. 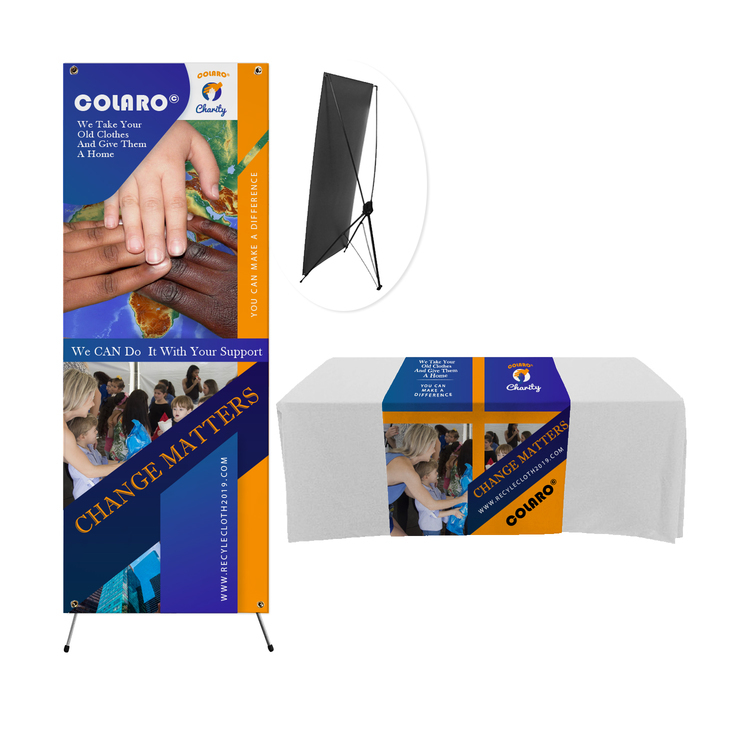 Econo x-banner style delivers a professional display. Replacement graphics will work for our DP651 banners. 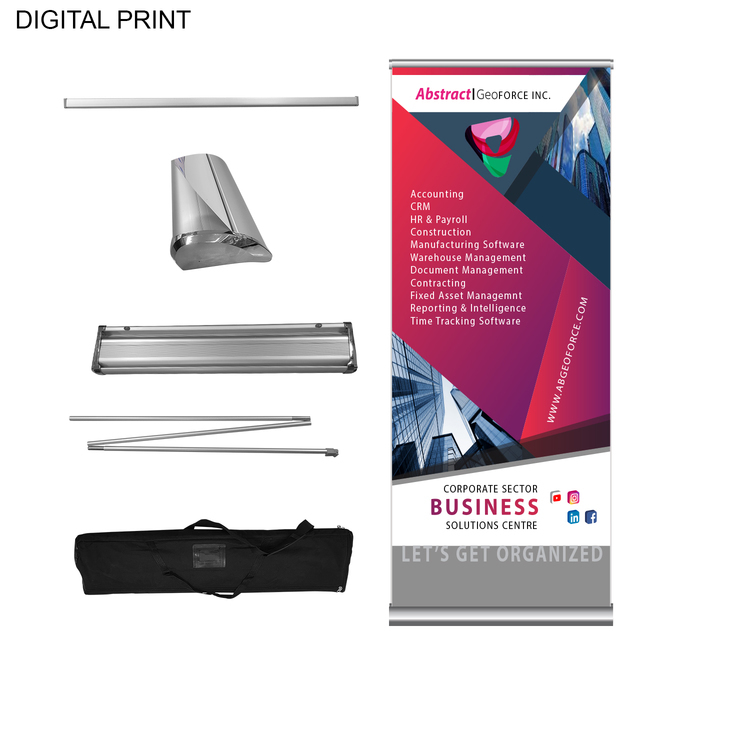 Deluxe retractable banners deliver a professional display. Wide base give a high end look and more stability. 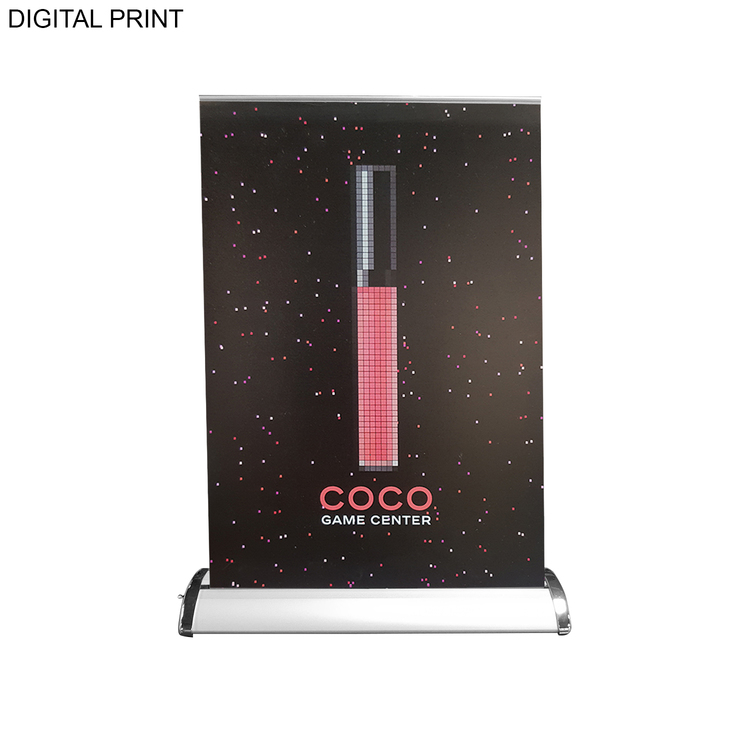 Premium banner (HT583) and a sublimated table cloth (SU511). 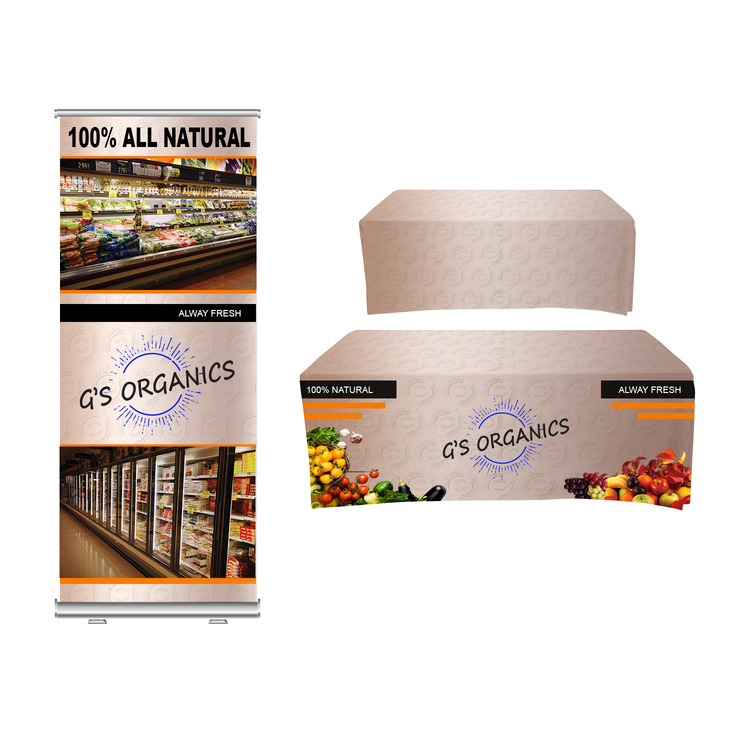 Ideal package for tradeshow or retail space. Banner has grey backPET film. 98% opacity, Anti-reflective, bright white film. 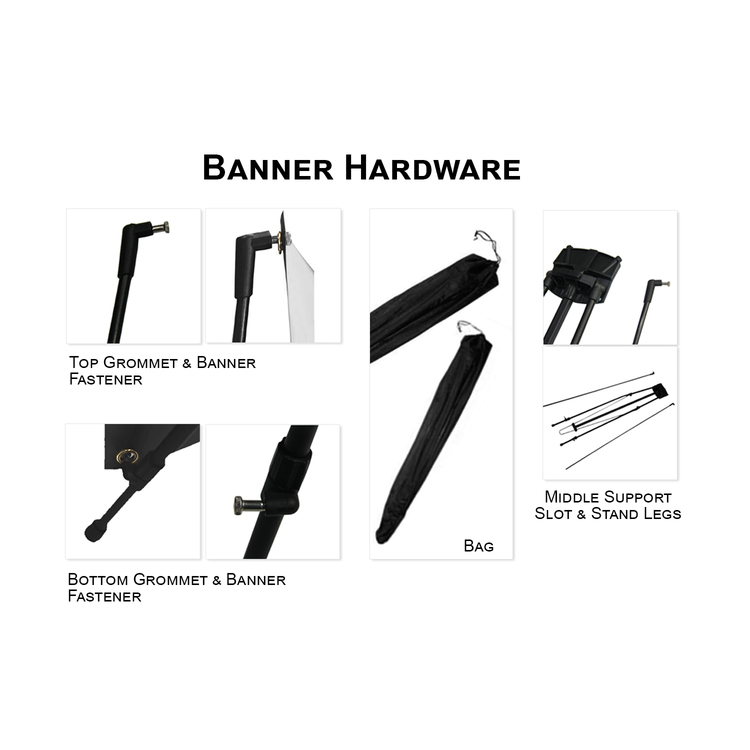 Banner has padded carry case included. Table cloth covers all 4 sides on 6' table. Closed back make it easy to hide materials underneath table. Table cloth is machine washable and wrinkle resistant. Table cloth is compliant with flame retardants for exhibit halls. 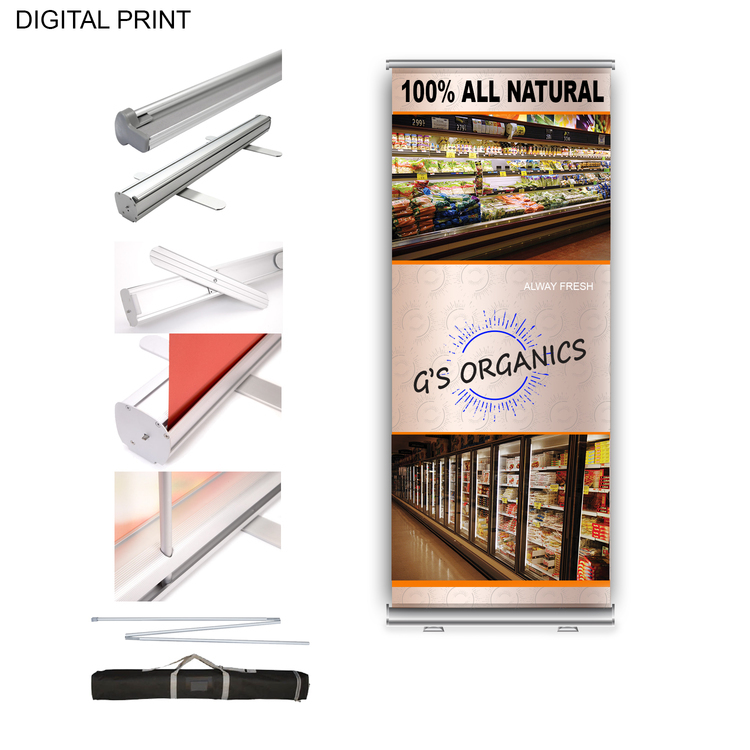 Price includes full color graphics on both banner and table throw. 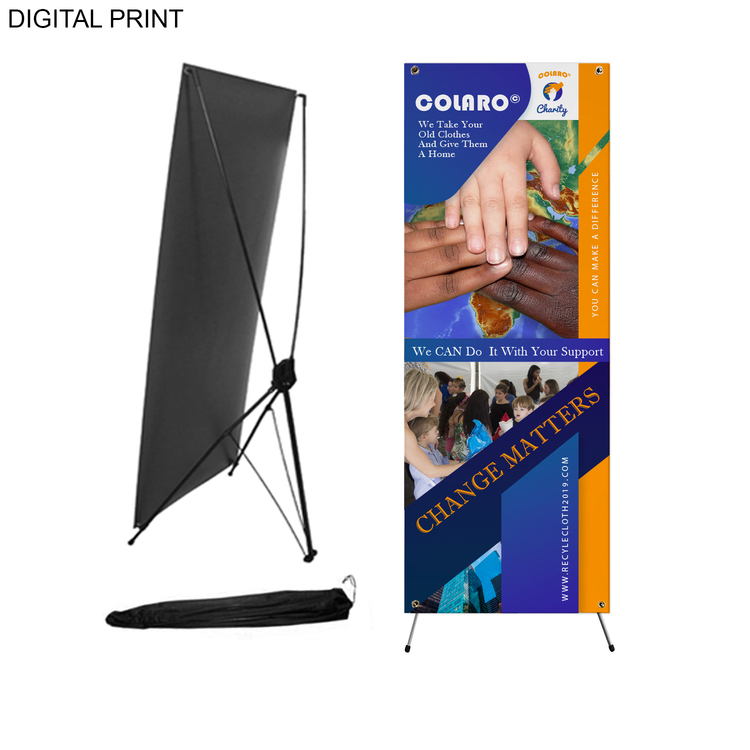 Econo x-banner (DP651) with a sublimated table runner (SU520). Ideal package for a tradeshow or retail space. 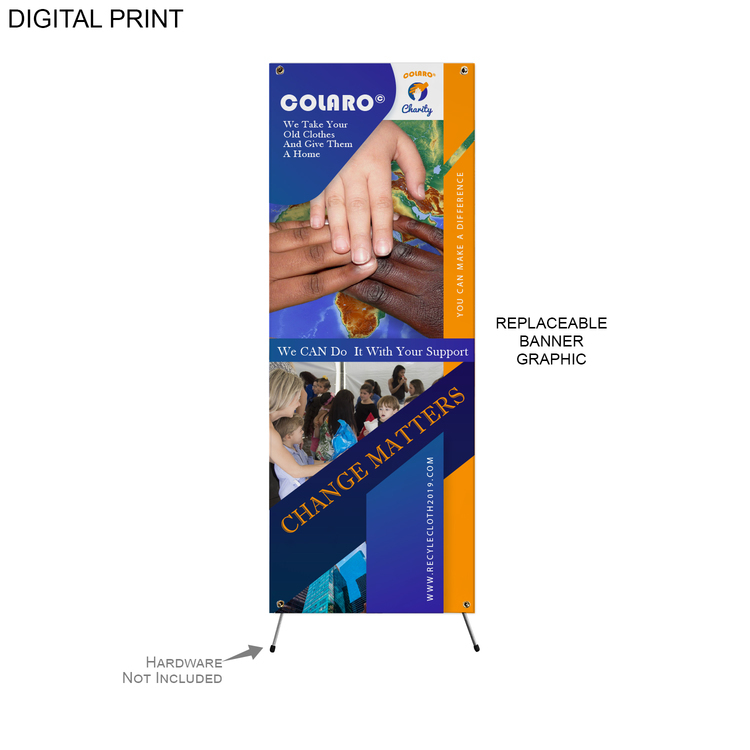 Econo x-banner delivers a professional display. Table runners are made from durable fabric. Fits on any rectangular table. 4', 6', 8', 10' tables. Closed back, Rolled edge finish.